Looking for precision and reliability at an affordable price? 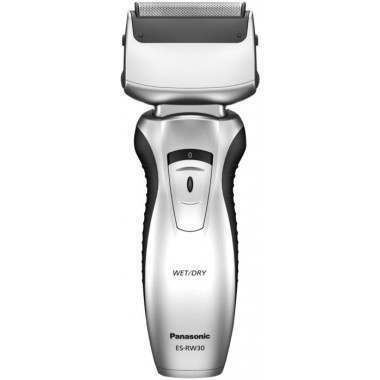 The Panasonic ES-RW30 Twin-Blade electric shaver has a multi-directional shaver head with twin-blades which adapt to your facial contours for a close, yet comfortable shave. 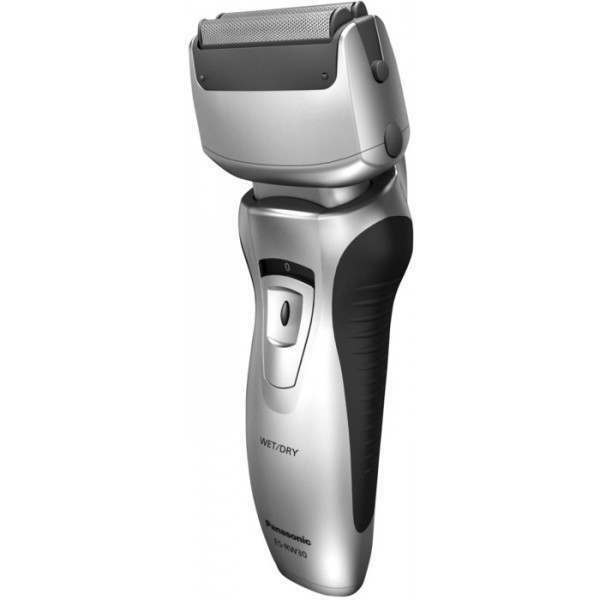 Wet & Dry Technology lets you use the shaver as you wish for extra convenience. Panasonic’s ES-RW30 is precision and reliability at an affordable price. 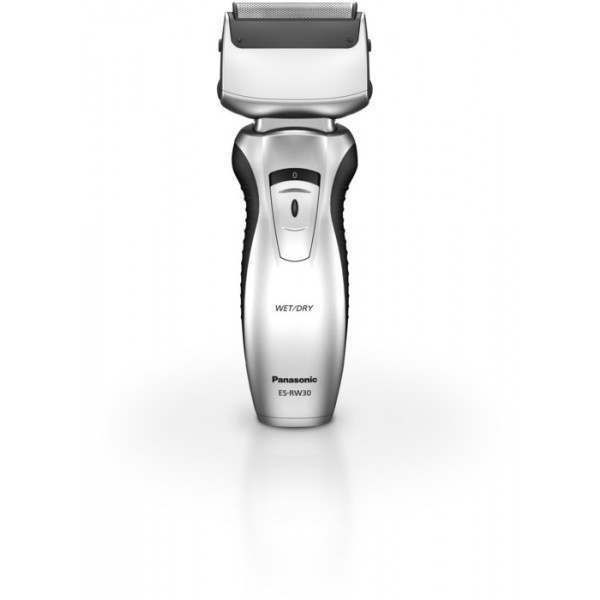 It possesses an independent multi-directional head with twin blades that allow free pivoting around your facial contours. Furthermore, the twin inner blades are designed to shave your beard with comfort and ease, including the difficult areas under the chin. The RW30’s blades move back and forth counter directionally to provide a quieter shave thanks to the reduced vibrations that add to the distinctive shaving experience. Pivoting up and down and side to side, the flexible head enables the Panasonic’s RW30 to follow the contours of the skin eliminating stubble, even in the most difficult-to-reach areas. 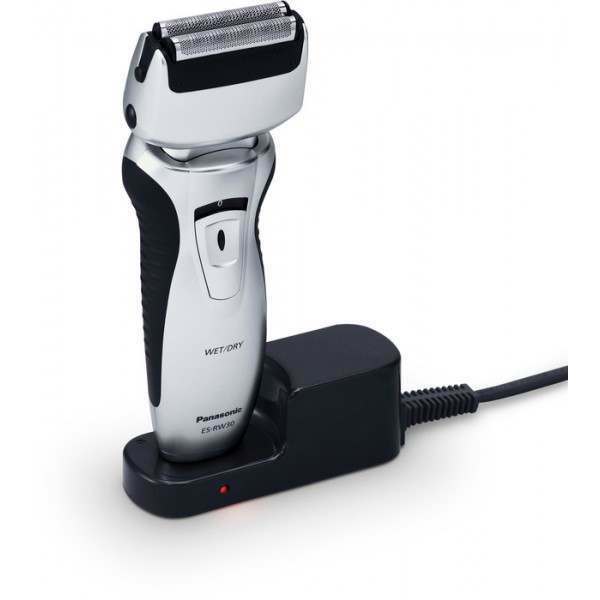 If you prefer a fixed head you can use the lock switch to fix its position, making this shaver ideal for all, from first-time electric users to the more experienced users of all ages. 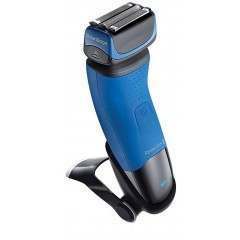 This shaver could be picked up and used by almost anyone thanks to its ease of use and flexibility. You can simply rinse it under the tap during use with lather as you would a traditional wet razor. 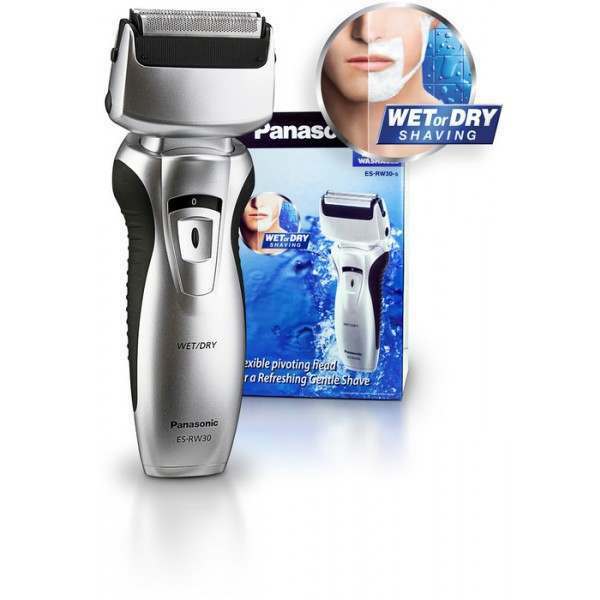 Panasonic’s Wet & Dry Technology provides you with the flexibility to shave dry or wet with the convenience of an electric razor. The RW30 allows you to enjoy the refreshing feeling of water and shaving foam on your skin. Just by lathering up, or when shaving in the shower, Panasonic’s RW30 protects your skin by providing a uniquely softer and smoother shave. When you’re done shaving, simply rinse the shaver clean under water. For a perfect finish, simply slide the pop-up trimmer upwards and easily bring contours and sideburns into shape, granting you increased creativity with ease of use. 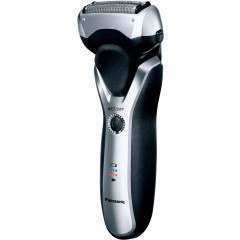 The 10,000 RPM motor allows for a faster shave that still shows best results after only a 1 hour charge. 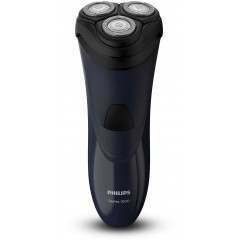 The cordless time stands at 21 minutes of cordless use enabling great results to continue for up to a week’s usage when many other shavers may fail. 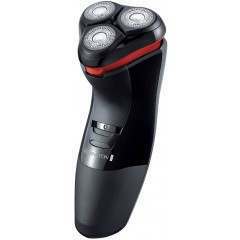 Being constructed from long-life stainless steel blades and foil, there is no oiling or maintenance required and thus this is ideal for those who have not experienced cutting-edge electric shavers before. A good basic wet and dry shaver. Arrived promptly , fair price. Quick service and superb product. Delivered next day, superb razor with a cool close shave. Perfect. 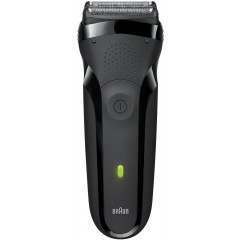 This shaver seemed very cheap at £14.99. 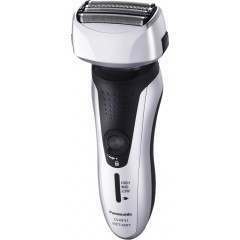 Some reviews here and elsewhere were favourable and a few said the shaver was useless. Thought about buying a more expensive model, but (surprise, surprise) the reviews for that one showed the same range of opinions. 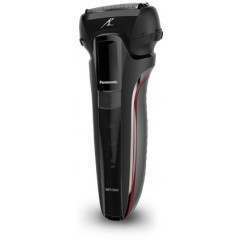 Took a chance and ordered two so for £29.98 I can keep one in use and the other fully charged ready for when the first runs out of juice.Since the charge time is 8 hours and the shaving time only 21 minutes according to manual this seemed a pragmatic approach. The goods arrived the following day even though I'd only gone for standard delivery so that was an unexpected bonus. Pleased to say that the shaver works fine on my beard though it might struggle if I wasn't shaving every day. It's more comfortable in my hand than some other shavers I've used - I've got stubby fingers so it's easier to grasp this model than more chunky ones. Haven't tried using wet shave mode though it is handy to be able to clean the blades and foil under a running tap. 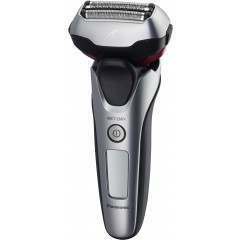 Note that you can't use the shaver while it is being charged, unlike most shavers I've used. That's because the charger is not is actually inside the shaver, it's a separate base which the shaver clicks into. Given the relatively short battery life and long recharge time, that could be a problem - which is why I bought two.